Our main focus is on Voice, Data, Audio, and Video solutions for small to medium sized businesses and organizations. We have a strong commitment to our customers, and we thank them very much! Since our inception, we’ve seen positive growth in our customer base each year. Johnson Telecommunications is a member of the Lake Superior Community Partnership. 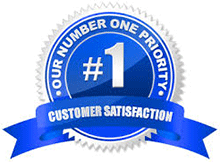 Johnson Telecommunications is committed to complete customer satisfaction. If for any reason you are dissatisfied with any equipment purchased or services performed within 30 days, we will repair/replace what’s bad at no cost to you, or give you a full refund or credit to your account. Your happiness means our success!